Generation Z is always about inclusivity. They value honesty, and have a say in most of today’s issues, and that includes the need for including everybody. So, if you want to market to this generation, it’s well-worth knowing how to attract Generation Z to your inclusive brand. I walked into a convenience store the other day, intent on buying my daily fix which included a bag of peanuts and bottled juice. As I stood in line, waiting for my turn, three teenagers were queuing along with me. Each girl had a smartphone in hand. One had an earbud shoved in her left ear as she sang, and the other snapped photos of her yet-to-be-made purchases. The last girl was trying to hold a conversation with her two friends, ranting about a brand’s recently launched lip liners. When they left the store, I found myself shaking my head. Today’s generation has evolved in a greater magnitude than the last. Teenagers nowadays are all about social media drip-freed, and are knowledgeable enough to critique a brand by their own standards as consumers. And this is exactly why the digital marketing platform is gradually shifting its attention away from the Millennials and finding a new direction to aim for in Generation Z. Generation Z: “truth tea” seekers born between 1995 and 2010. With a population that consists of 80 million people and counting, Gen Z — collectively — spend $200 billion. More and more companies are targeting teenagers for a reason. They are more than their parents’ dependents. They have access to cash, and plenty of it. But above all, 60% of Generation Z’s population aims to change the world — make the world a better place. The percentage is larger than that of Millennials’ 39%. And since Generation Z is all about the brand, now’s a better time than any to continue promoting positive, encouraging, and uplifting messages. Let your product help make the world a better place, and you’ll have Gen Z flocking to you. With more and more brands continuously striving to appeal to teens, one notable marketing trend has been making its mark across the world upon its emergence: the gradual eradication of gender roles. Gender roles are both cultural and personal. In a layman’s definition, they determine how males and females should think, speak, dress, and interact within the context of society. But this particular manner of thinking is slowly losing its validity because of the rise of acceptance towards gender fluidity, and the fact that girls can do what boys are doing and vice versa. Gender roles set a boundary, dictating how male and female members of society should act. And furthermore, they deviate from the reality so much. No one wants to be a thrust into a box and told what they can or can’t do. The rise of numerous gender equality protests and feminism has proved gender roles wrong on countless occasions. And gender stereotyping is one thing that Generation Z is all too willing to change. Eliminating gender stereotypes is more than just a bandwagon some notable companies have decidedly jumped into. Well-known brands like Louis Vuitton, Mattel, and Zara have taken steps in response to Generation Z’s cry for inclusion and self-love. Below is a list of brands — big and small — who have incorporated genderless ideals into their marketing strategies. Check them out and see if you can figure out how to attract Generation Z to your inclusive brand. These wise words are from Jessica Blacker, the British founder of rising unisex makeup startup, Jecca. This inclusive step was driven by Jessica’s clients who frequently told her that they felt ‘overlooked’ by mainstream beauty brands. In response to their heartrending comments, she launched her own online makeup store that sold products to both female and male consumers. “Makeup plays a huge role through a male-to-female transition. It can help you feminize your face and present yourself the way you feel inside,” Blacker told Forbes’ senior feature writer, Kitty Knowles. Jecca markets itself as a unisex makeup brand, but focuses mainly on transgender consumers as well as those who identify as gender fluid. Now with almost 10,000 Instagram followers, the makeup brand continues to build itself up. CoverGirl stunned the rest of the world with an unprecedented move unbecoming of its 55-year history. The cosmetics company hired its first male brand ambassador in social media personality and makeup artist, James Charles Dickinson. After signing on with the cosmetic brand, the makeup artist has since appeared in several CoverGirl commercials. The ads uploaded on YouTube gained as many as 7 million views and at least 4,000 comments — the majority of which remarking on how makeup is neutral and it’s for everybody. This move by a popular beauty brand is indicative of how attitude towards gender norms are changing. It’s a statement that speaks loud and clear. The brand recognizes men as a part of their target market as much as women. “We’ve always been an inclusive beauty brand that’s partnered with a diverse roster of talent based not only on looks but on personality – boundary-breaking and unapologetically individualistic. James Charles fits perfectly with this mentality. We encourage people – you do you! And we’re here to help you express whoever that is through your makeup,” Coty spokesperson Laura Brinker said in an email to The Globe and Mail. The Moschino Barbie launched back in 2015 sold out in under an hour. What was the driving force behind such a landslide consumer buy? One of the factors that nailed the Moschino Barbie’s success was the inclusion of a mohawk-sporting little boy commenting on how fierce the new Moschino Barbie was on the product’s commercial. The ad uploaded on YouTube garnered over 3.7 million views and at least 4,000 comments from people praising Mattel and Barbie for shedding their gender stereotyping ways. Yahoo! Parenting called it “Mattel’s inclusive move.” People lost their minds because for the first time in so many years, the face of the brand was a little boy. It was quick to harvest positive feedback from fans and critics then, and affects the marketing landscape to this day. The inclusion put forward by Gen Z goes beyond the fabulous world of cosmetics. There are other efforts put forward by famous companies to erase the line that defined gender roles in the past. Back in 2016, famous celebrity son Jaden Smith made a bold statement when he modeled skirts for the world-famous brand, Louis Vuitton. Famous clothingline, Zara, has declared themselves inclusive as well with genderless fashion. Why should you learn how to attract Generation Z to your inclusive brand? To think of Generation Z as a direct copy of the Millennial would be absurd. Statistics about Gen Z’s attitudes and values would prove us otherwise. They are a different breed of consumers all together. Generation Z’s notable qualities are their self-assurance and optimism. 42% of Generation Z is happy. 34% feel confident, and 88% are optimistic about their personal future. 60% of this new generation wants to change the world. A study in 2016 reported that 56% of Gen Zers know someone who makes use of gender pronouns to identify themselves. And more and more of them are more aware of gender equality issues than we give them credit for. A good example of this is their remarkable support for having gender neutral bathrooms in public spaces. 70% of them are all for this idea as opposed to the 57% comprised of 21-34 year-olds. We need to face the facts that gender no longer defines a person as much as it used to. 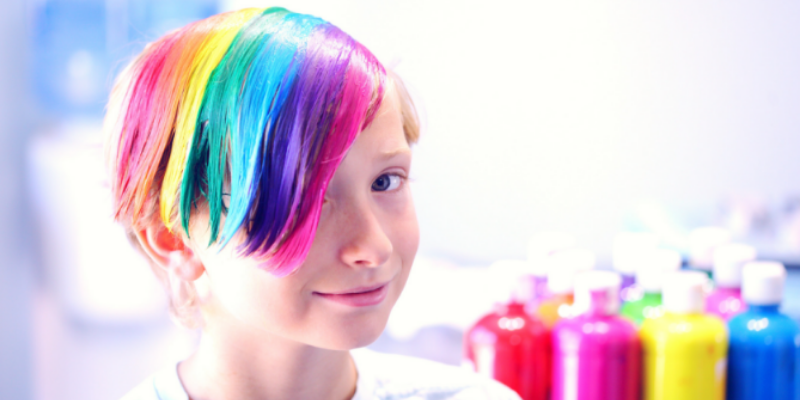 More young people are recognizing the ambiguity that surrounds genders these days. And naturally, consumers will deviate towards brands that support such a humanitarian movement. Gender fluidity, and human sexuality is as much a part of us as our limbs and legs are. And just like any other facet of the human personality, it deserves to be accepted and acknowledged. Thanks to inclusive initiatives around the globe, it’s finally happening, however gradually. Of course, not every brand or company has the capacity to be gender neutral. But one thing brands need to do is to be honest about who their customers are. Reflect that reality with their brand positioning. In some cases, this may entail adjusting the product range accordingly, or completely break away from tradition to accommodate all genders. Each new campaign we push out must exhibit authenticity as well as complete honesty. Generation Z demands authenticity and unmatched openness from the brands they support. But in the end, with the rise of a society that welcomes gender ambiguity, we need to get-to-know this post-Millennial generation. With characteristics and expectations that differ from the generations that preceded it, we have layers and layers of research to do if we want to figure Generation Z out. Operating on outdated marketing schemes are a no-go. It’s time to embrace the new generation and the encouragement for inclusiveness that comes with them. Looking for more tips on how to do your digital marketing? Check out other articles about the online marketing at Scoopfed.